Say goodbye to slow, sticky, or clogged drains! Northwest Drain Station offers fast and affordable service for clearing even the toughest drains. We use the latest technology to clear your drains quickly and with long-lasting results. We offer fast, 24-hour emergency service for repairing all types of drain clogs. Our professional, licensed, and certified plumbing repair experts are guaranteed to always be on time and most drains can be cleaned and unclogged within hours of your call! Where other companies will try to sell you an expensive and unnecessary sewer dig up in order to repair your clogged drains, at Northwest Drain Station, we go the extra mile to offer you more efficient and cost-effective solutions, such as hydro jetting, the latest innovation in sewer line cleaning. Does it seem like your drains are always slow or clogged? Often, this is caused by built-up sediment and other materials that are causing a blockage in your sewer drain. Where other drain cleaning and plumbing companies will try to charge you an arm and a leg to dig up and clean your sewer line, Northwest Drain Station offers hydro jetting, a highly effective solution for dislodging stubborn materials that have stuck to the walls of your pipeline, restoring a healthy flow to your drains. Hydro jetting works by blasting highly pressurized water through your sewer line, and it is significantly more effective and affordable than alternative methods of reducing blockage in sewer lines. It’s so effective in fact, that Northwest Drain Station offers a no dig-up guarantee. We will never try to sell you an expensive sewer dig-up unless it is absolutely necessary and we will do everything we can to help solve your problem with an affordable and minimally invasive solution. 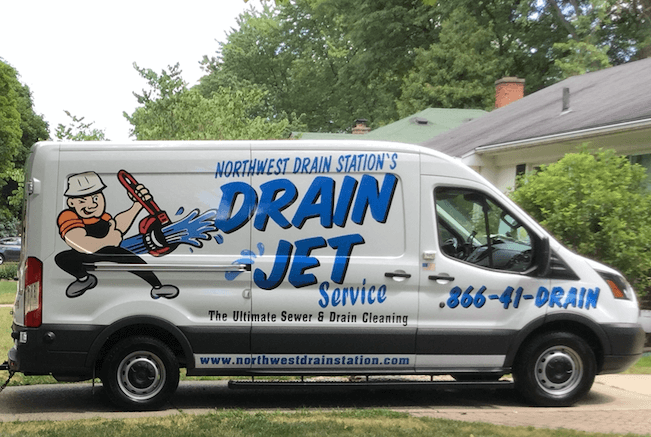 For fast service you can count on, look no further than the professionals at Northwest Drain Station, Inc. We provide professional drain cleaning and hydro jetting services in Ferndale, Royal Oak, Clawson, Pleasant Ridge, Madison Heights and the surrounding areas. Call us today at 248-548-8500 for your free, no obligation estimate.